That’s what the angel said to a terrified bunch of tired and dirty shepherds. When I think of the shepherds at Christ’s birth I tend to picture them old, weathered, and in threes (darn you felt-board childhood!) but, I’ve been told that customarily the youngest in the family would be left to tend the herds at night. Imagine David in the field while the older sons went off to battle. God seems to have a soft spot for shepherds. Israel’s greatest king was once the youngest of the low, carefully tending his father’s sheep. Jesus went so far as to call himself the good shepherd later in his ministry. I love that God cares for the least, that he watches over the young, and pursues the lost. That’s what makes the God of Christianity so unique. You don’t have to earn his favor through high status or works. Even if you’re a dumb, bleating, directionally-challenged animal he still goes to find you when you wander away. When God announced Christ’s birth, he didn’t start with kings and priests; instead he told shepherds and the least. He started with the least–the faithful. Glory shone and joy was proclaimed in a field – not a synagogue or palace. Great joy that will be for all people. That’s what the shepherds were given – great joy. They spread the word about the things they had seen, unable to contain their excitement, amazing their friends and families. I hope and suspect they never lost that joy or their zeal for spreading it. I want my boys to have that same joy. I want it to spill over into all their relationships. 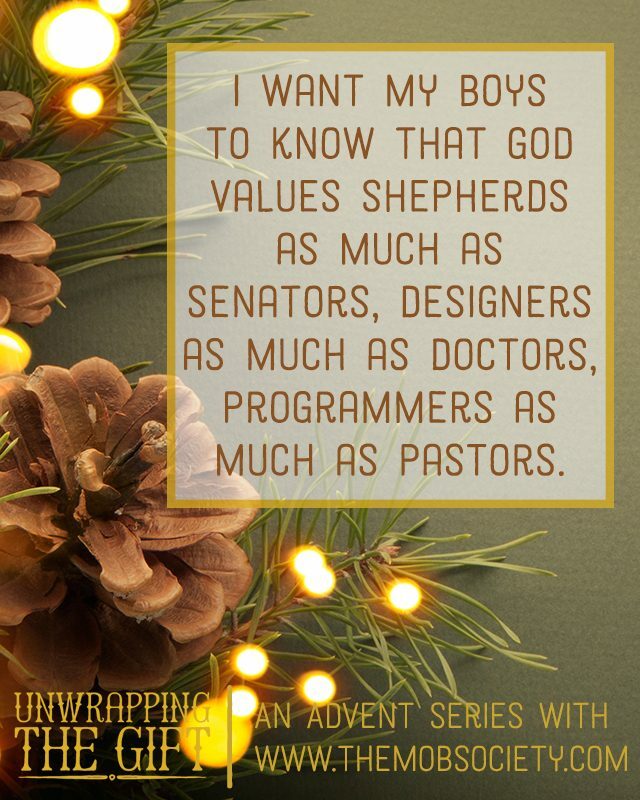 I want my boys to know that God values shepherds as much as Senators, designers as much as doctors, programmers as much as pastors. I want them to know he will use them in whatever vocation He has gifted them in. I want them to know He is there with them always in the everyday of every day–that purpose and power and peace show up in dirty fields in the dead of night. I want my boys to know that it’s okay to live a simple, faithful life filled with joy and generosity. And I want them to know that no matter what the world thinks of them or what they think of themselves, they have value in the eyes of the Creator. 1. Jess talks about imagining the shepherds as weathered and grizzled old men. What do you think about the fact that they may have actually been young boys? 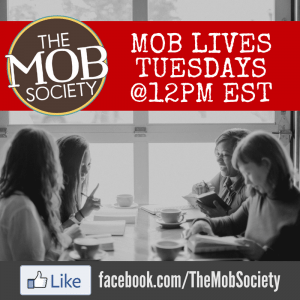 2. Who in your community is the “least”? 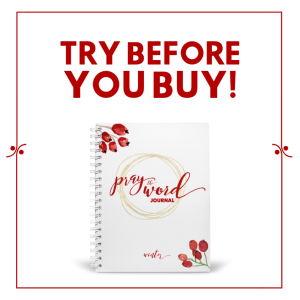 Brainstorm a list of how you could love those people this season. Then go do it! 3. Does Christmas overwhelm you instead of fill you with joy? You’re not alone! Are there areas in which you can cut away from the BUSY to help cultivate joy? 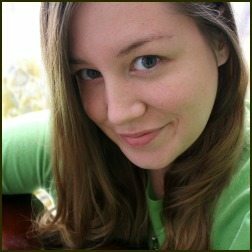 Jessica (Bohemian) Bowman is a jack of all internets and a mother of four. Grace is her middle name (not really) and she’s been married for fourteen years to a guy she really super likes (since she was seventeen!). In early 2015 her family is moving to a sensitive country in South Asia to do good work. Because Jesus. Yes, Jessica. This is so good. So important. Our boys are facing SO much pressure to believe and choose from a narrow list of “futures,” and they need to know this truth as they let God direct them to lives of purpose.